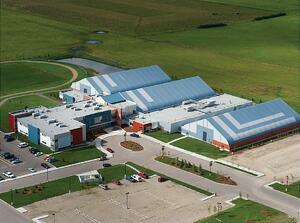 After careful consideration, Sprung Structures was selected to construct two NHL-sized hockey rinks and a gymnasium. The decision to use Sprung Structures allowed Edge School expansion to go forward on time and on budget—with a net savings of $7 million. Utilizing Shelter-Rite® Architectural Fabrics as the fabric solution, Sprung Structures not only enhanced Edge School’s performance opportunities but provided the property with facilities that were erected in a fraction of the time it would have taken had the school made other choices. The three 120-foot wide Sprung structures were constructed using multi-colored Tedlar® membranes to give an extremely aesthetically pleasing appearance to the buildings; much nicer than a plain white building, which at one time was the only exterior color choice of a membrane structure. Today, there are significant advancements in technology that allow virtually any exterior color to be utilized for sports and recreation applications. The use of color on the exterior lends design flexibility to blend into the surrounding environment and offers backgrounds to give buildings a unique appearance. Seaman Corporation has been partnering with Sprung Structures since the early 1980s. 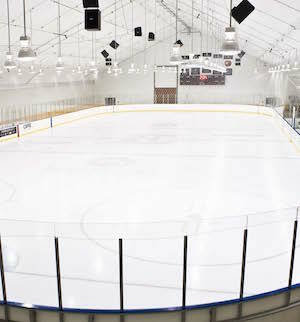 Revolutionary coatings like Tedlar and Kynar® have enabled Sprung Structures to provide its customers with long-term fabrics that stay clean and look as good 20 years after installation. For over 40 years, Shelter-Rite architectural fabrics have been engineered with a proprietary coating formula for superior UV and mildew resistance, and unique weft-inserted knit fabric that provides excellent tensile, tear and seam strength. This time-tested technology has resulted in architectural structures that maintain long-lasting aesthetics.